The perfect collection to declutter and organize while maintaining style. This brown cherry finished chest showcases unique geometric woodwork for a modern charm. 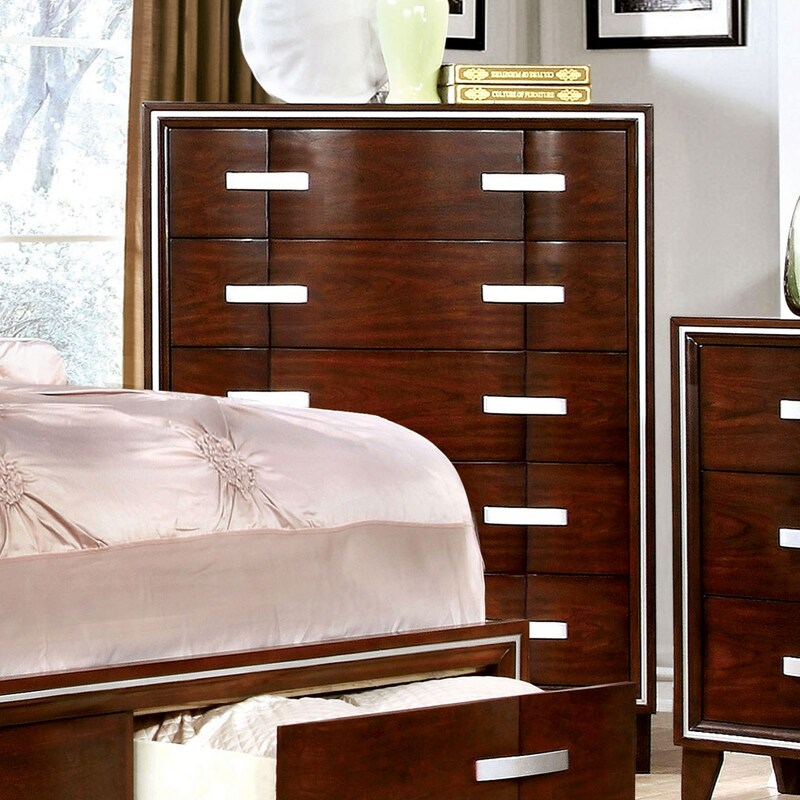 Silver trim accents and matching silver drawer pulls add a faint glamorous touch to bri ghten up your room! The Safire Chest by Furniture of America at Furniture Superstore - NM in the Albuquerque, Los Ranchos De Albuquerque, Rio Rancho, Santa Fe, Corrales, NM area. Product availability may vary. Contact us for the most current availability on this product. Browse other items in the Safire collection from Furniture Superstore - NM in the Albuquerque, Los Ranchos De Albuquerque, Rio Rancho, Santa Fe, Corrales, NM area.